Todays modern Aruba is a vacationers dream island, containing all the amenities for the worldwide traveler, special family vacations, and that never-to-be-forgotten week or two for honeymoon couples. Miles of white beaches and cobalt blue waters grace the poolside of mega hotels; bustling casinos are located at most large resorts, with a few open twenty-four hours a day; and five-star restaurants are available to nourish the senses and the taste buds. 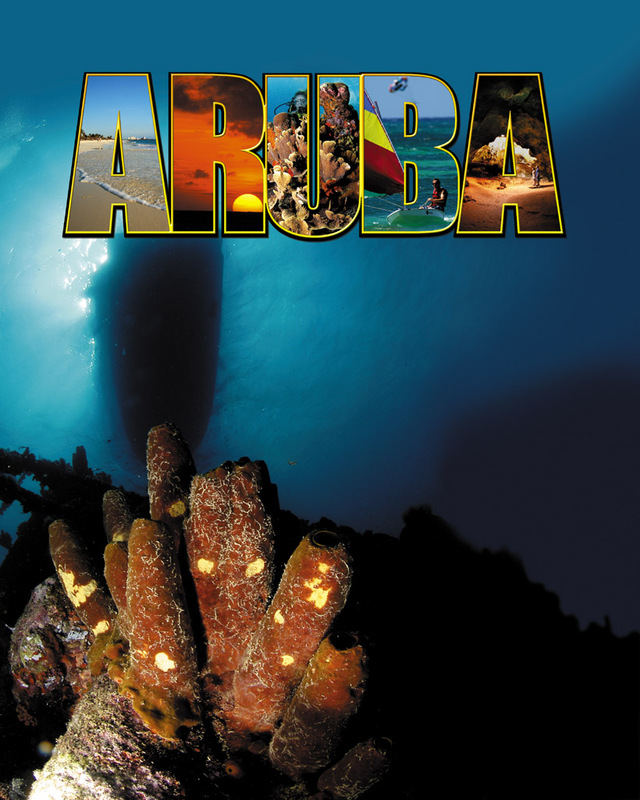 Aruba boasts an international cuisine, including the local Caribbean-style seafood restaurants. Local cuisine has its own distinction with the sharp taste of a local yerbe hole basil that brings out the best of the catch of the day. Off the beaches, the island offers quaint historical village streets, colorful malls and bazaars, and rocking nightclubs. Off the beaten path, further into the countryside, the true natural beauty of Arubas desert interior is revealed, a landscape full of surprises containing beautiful desert landscapes, towering cacti, massive boulder piles, and old abandoned gold mines. Rocky cliffs line the opposite side of the island, enduring the relentless pounding of wind and waves. The ground shakes beneath your feet; thunder deafens your ears as enormous wind-driven waves smash onto the rocks causing soaring white explosions of water and salt spray. But Aruba was not always this vacationers wonderland. Caquetios Indians, of the Arawak tribe of Venezuela, inhabited this remote island for thousands of years until the Spanish explorer Alonso de Ojeda discovered the island in 1499. Like many good Spanish explorers, he and his crew quickly enslaved the local Indians, and transported many of them to Santa Domingo. By 1642, the 80-year war between Spain and Holland had ended, and the Dutch took possession of the island. In 1824, gold was discovered on the island, and a small gold rush took place. Along with the precious metal, Aruba also exported phosphate and aloe. In 1928, another precious commodity was introduced to Aruba in the form of a massive oil refinery. Large deposits of oil were discovered under the shallow waters of neighboring Venezuela, and Aruba contained the closest protected natural deep-water port. Specialized smaller oil freighters were introduced, with wide flat bottoms that allowed the oil to be transported from the shallows of Venezuela to the refinery in Aruba. The oil was processed, then loaded into larger oil tankers and shipped around the globe. May 10th, 1940, would change everything on this sleepy little island. Thousands of miles away, German paratroopers landed in Rotterdam and The Hague. German forces would cut through Holland and Belgium. On May 15, in Rijsoord, General Henri Winkelman of the Dutch General Staff signed the surrender of the Netherlands. The Dutch Army surrenders, and across the oceans the remote rock island of Aruba is flung into a world war. 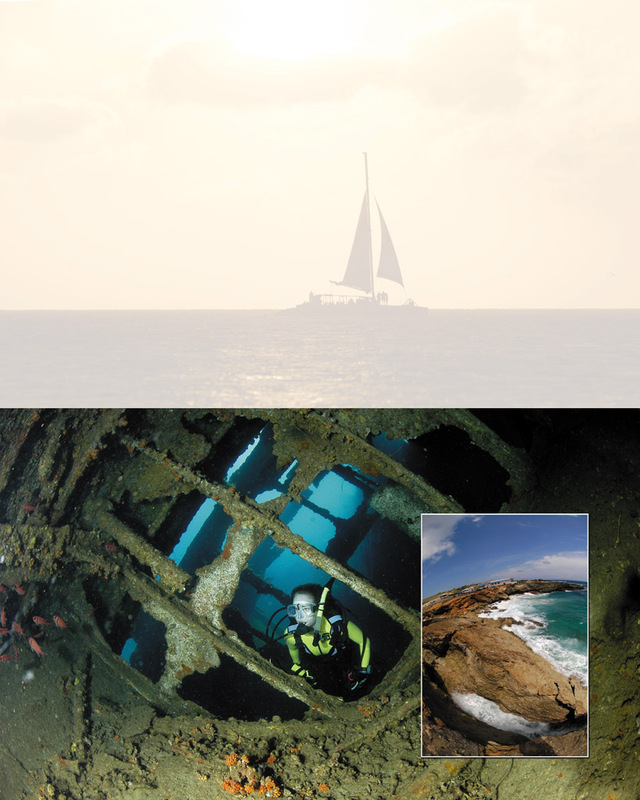 On May 11th, 1940, unaware of the events in Europe, the 397-foot long, 2,164-ton German freighter Antilla was floating off shore of Aruba when she was surrounded by a flotilla of Dutch navy warships. When Captain Schmidt of the Antilla was ordered to surrender his ship, he placed explosives inside her hull. While disembarking with the forty-six members of his crew, several explosions rocked the ship and sent her to the bottom with all supplies onboard. The captain and his crew would ride out the remainder of the war as prisoners on the island of Bonaire. The Antilla sits in the shallow waters a few hundred yards off the coast of Aruba, at 50 to 60 feet, with some of her wreckage almost sticking out of the surface. After 60 years under the water, she is covered with marine life including sponges, corals, and smaller fish. Close inspection of the wreckage reveals a large engine room, a single propeller, deck winches, and a multitude of pipes. 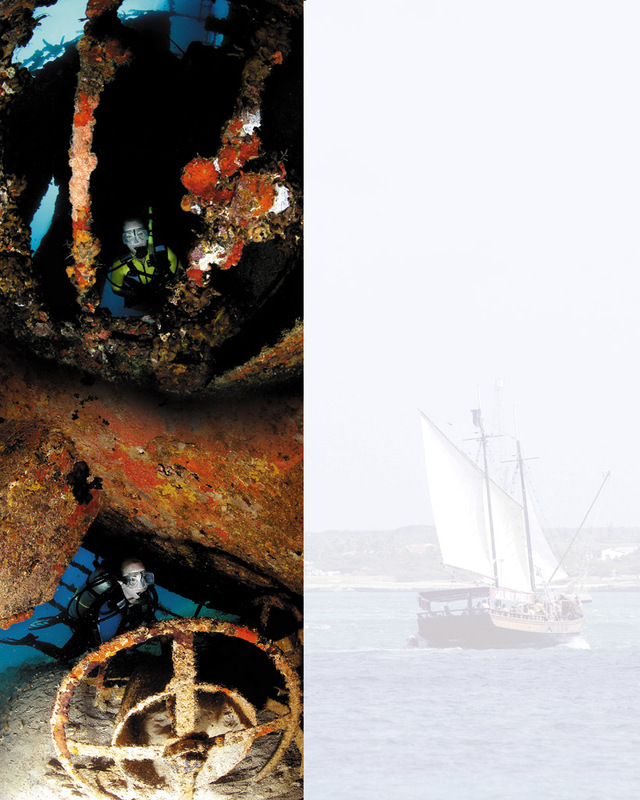 The wreck is an excellent location for wide-angle and macro photography, as well as the perfect location for new wreck diver. Torpedoed in 1942 by German submarine U-156 under the command of Captain Werner Hartenstein, the oil tanker Pedernales originally sat in shallow waters. Most of the wreckage was salvaged after the war, leaving only a small section of the original wreck behind. Because it is located in only 30 feet, it is heavily encrusted by marine life and full of color for any macro photographer. This 200-foot steel-hulled cement freighter was sunk in 1988 to form an artificial reef. It rests in about 90 feet of water, in a thick grove of various corals. Recent storms have turned over the stern revealing the single prop. The rest of the ship lies on her starboard side. Divers can explore her many cargo holds and unique bow section. Built in 1962, this 225-foot German-built ship lies on its side in only 65 feet. The wreckage is an excellent location for schooling fish, barracudas, and angelfish. One of Arubas most popular sites, a large tugboat sits in 90 feet, and is an excellent dive for the advanced diver and macro photography enthusiast. Millions of small crustaceans, corals, and fish swarm this interesting wreck. Aruba is surrounded by millions of years of coral growth. Almost every inch below the waves is covered with some type of colorful scenery. The islands main dive facilities have hundreds of shallow and deep reef sites just minutes from the shoreline. an excellent reason to return!